How many times, in our younger years, have we wished that we could convince someone else to cook and clean for us, take care of the housework and home maintenance, perhaps take us away from feeling as if we aren’t safe and secure? When we reach our golden years and find it increasingly difficult to manage these tasks, a move to an Assisted Living community is a natural next step, yet a senior anxious about relocating may forget all of those moments when he or she fantasized about having someone else take care of them for a change. With Rosewood at Fort Oglethorpe, this transition offers a lot of benefits without completely losing our privacy and dignity, as some may worry. Our Independent Living residents are still active yet prefer to have someone else provide them with three delicious meals each day, weekly housekeeping, linen laundry service, and a ride to the doctor if needed. They don’t even have to concern themselves any longer with the stress of writing a bunch of checks to the utility companies. Our Assisted Living residents enjoy the same individual apartments but also get help with the activities of daily living such as bathing, dressing and remembering when to take their medications. Aside from the benefits of having someone else mow the lawn or change a light bulb, life in a senior community is fun and secure. At Rosewood, we now only set the stage for new friendships but provide fun with visiting musicians and performers, daily activities and outings to explore the Chattanooga area. Playing games keeps us sharp while discussions allow us to be social and engage others. Our residents enjoy regular activities such as card games, Bingo, crafting, facials with Wendy Marshall, movie matinees, church with Boynton Baptist, exercise, Scrabble, scrapbooking, manicures, therapy visits with Daisy Dog, shopping expeditions at Wal-Mart, as well as trips to dine in Chattanooga restaurants or visit places like the Chattanooga zoo. Doesn’t that all sound terrific? We are indeed fortunate to live in a time when being a senior citizen does not necessarily mean spending the rest of our lives in crowded, institutionalized settings. Unlike a private residence where a senior may be at risk of falling or a home invasion, our residents and their families enjoy the peace of mind that comes from knowing they are never far from staff who are dedicated to their safety and well being. 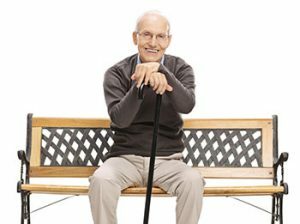 The best way to see if life in a retirement community is for you is to schedule a free consultation and take a tour, perhaps talk with our current residents to see if they recommend it. Call (706) 866-4443 to set those wheels in motion.